Professor Atul K. Shah is passionate about teaching, research and leadership and has a breadth of distinguished achievements. He has a PhD from the London School of Economics (LSE) where he was a Research Fellow and is a Member of the Institute of Chartered Accountants in England & Wales (ACA). He has lectured at the Universities of Bristol, Essex, London School of Economics and Maryland (USA). He has spoken about his pioneering research at international conferences. Professor. 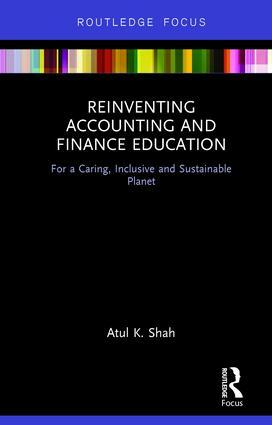 Shah's published research spans the fields of creative accounting, international financial regulation, business ethics and cultural intelligence & diversity. 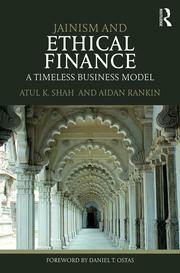 He is author of ‘Jainism and Ethical Finance’ (with Aidan Rankin), The Politics of Financial Risk, Audit and Regulation, and Reinventing Accounting and Finance Education. Journals in which he has published include Accounting, Organisations and Society; Accounting, Auditing and Accountability Journal; European Accounting Review; Business Ethics A European Review; Journal of Financial Regulation and Compliance. His research on Creative Accounting has been widely cited, and his series of papers on international financial regulation in the late 1990s predicted the 2008 global financial crisis and proved very prescient. Dr. Shah's research is strongly influenced by a desire to improve the world. He has written a number of articles for The Conversation and also obtained research grants and funding from various organisations including the Institute of Chartered Accountants, Economic and Social Research Council, Greater London Authority and MAZARS. Professional magazines in which Professor. Shah's research has been reported include Financial Times, Economia, Accountancy Age, Butterworths Journal of International Banking. Forbes recently profiled his life-work in the area of ethics. He is founder of Jain Spirit global magazine and Diverse Ethics, a pioneering social enterprise on Leadership and Diversity. Professor. Shah has broadcast for BBC Radio 2, Radio 4, World Service, and his 1500 mile Epic Masala Tour of Britain showcasing the wide contribution of the Indian Diaspora to British society, attracted wide radio coverage all over Britain. Celebrating Diversity How to live, enjoy and benefit from Great Coloured Britain was published in 2007 to widespread acclaim. In 2010 he wrote the acclaimed Boardroom Diversity The Opportunity for MAZARS, a subject which is highly topical in Britain today. Professor Shah has rare leadership qualities and achievements which have brought significant innovation to many organisations. He is founding editor of Jain Spirit global magazine and a widely respected leader in the global Jain community, one of the world's most successful entrepreneurial and ethical cultures. At the University of Suffolk, Professor Atul Shah is keen to inspire and motivate students to understand business and see its wider social, environmental and economic impact. He will use his extensive knowledge of cultural diversity to shape borderless thinking and leadership and help students to 'think entrepreneurially'. His research is focused on the areas of business ethics, governance, and financial regulation.